Medfield is one of the small town communities located southwest of Boston in Norfolk County. With a population of 12,660 people, Medfield is considered one of the most affluent communities in Massachusetts. 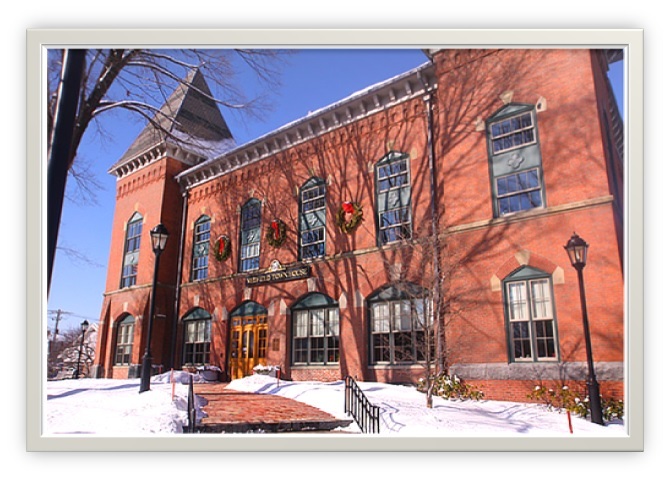 Its affluence has been reflected in the Medfield Public Library which began in 1873. Medfield's affluence has also trickled down to its school system. Medfield Public Schools continually rank in the top ten school systems in Massachusetts according to the MCAS, or the Massachusetts Comprehensive Assessment System. Medfield is only 17 miles southwest of Boston, making it the perfect residential escape from the hustle and bustle of the city, yet close enough for commuting or the occassional outing to the city. Medfield features note-worthy location rich in nature and history, such as the Rocky Woods, Noon Hill, Peak House, and the Medfield Historical Society. Below are the latest real estate for sale in Medfield, MA. Save your favorite listings to your account and we will send you notifications when similar properties are on the market. Don't have an account? Register for free! Welcome to this exceptional custom built home in Medfield's highly desired Woodcliff Estates neighborhood, easy access to Rocky Woods Reservation hiking/biking trails, shopping, and downtown Medfield. Scott Colwell built home, impeccably maintained by original owners, boasts a gracious 2 story foyer, dual staircase, and finished 3rd floor. Two story family room, w/ stunning stone fireplace, opens to a beautiful gourmet kitchen with custom wood cabinetry, granite countertops, Viking stove and hood, double wall ovens, Bosch dishwasher, pantry, and oversized island. First floor also includes well sized living room, dining room, home office/sixth bedroom, two half baths, and mudroom leading to three car garage with direct basement access. Five generously sized bedrooms, 3 full bathrooms, and laundry room on second floor. Oversized windows allow wonderful natural light. Extensive use of red oak flooring. Professionally finished basement. Screened porch and deck with private wooded view. Breathtaking Custom Built Farmhouse Style Home in convenient Medfield Location. This distinguished property features exquisite craftsmanship & meticulous detail throughout. Sun-filled open concept floor plan offers great flow perfect for entertaining. Gorgeous chef's kitchen features a spacious pantry, custom cabinetry, large island, two sinks, top-of-the-line stainless steel appliances & silestone countertops. Great room is open to kitchen with stunning gas fireplace and cathedral ceilings. First floor also features a spacious family room with fireplace, formal dining room with wainscoating, side entry mudroom with walk-in closet accessible to garage & half-bath. Elegant master suite boasts two walk-in closets & large spa-like master bath with soaking tub. Four additional bedrooms, two full baths & laundry room complete the second floor. Walk-out basement features two finished rooms & 3/4 bath. Deck off of great room & expansive patio completes this truly amazing home!! Young 4 bedroom custom colonial in Medfield's Premier "Woodcliff Hills" located on the Dover/Westwood line. A beautiful 2 story entry welcomes you to this elegant yet very comfortable home. Off the foyer is a office /library with its beautiful built-ins as well as the formal gas fire-placed living room connected with impressive arched entry to dining area with tray ceiling. Gourmet kitchen with Viking appliances and custom cream-colored cabinetry, over-sized kitchen island and dining area. The great room with coffered ceiling, custom windows, stone fireplace connects you to the outside deck and screened porch and overlooks a beautiful level yard. The mud room w/cubbies and beadboard detail. Deluxe master suite with back-lit tray ceiling, sitting room, dual closets w/custom built-ins and gorgeous master bath. All bedrooms are generously sized with walk in closets, one en suite bath. Incredible finished basement w/half bath and exercise room. A home to be treasured! Gorgeous! Spacious! Upgraded! Located in the highly coveted Woodcliff Estates, this beautifully appointed home is an entertainers dream! A large Chef's kitchen, big center island, open floorplan, upgraded appliances and attached screened in porch are just the start of the features you will enjoy.at 10 Quarry Rd. The attached Great Room is bright and inviting with soaring ceilings, large fireplace and French doors that open up to the sprawling Deck overlooking the beautiful trees in the private backyard. The main level also features a Home Office with custom built-ins and Formal Living Room with a gas fireplace that is opened up to the large Dining Room. Next, head upstairs to the luxurious Master Suite with 2 walk-in closets and large en suite bath. The third level features a 5th bedroom, bath and bonus room with skylights while the finished walk-out basement is bright and open and offers ample recreation space while still offering plenty of storage. Welcome to your Dream Home! "Attention Builders" This property has potential for Possible Subdivision or build a Custom Estate Home. Large private wooded lot on a lovely country road close to schools and town center. Top school system. Minutes to commuter rail. Close to large parcels of open space and conservation land. Buyer to do due diligence.